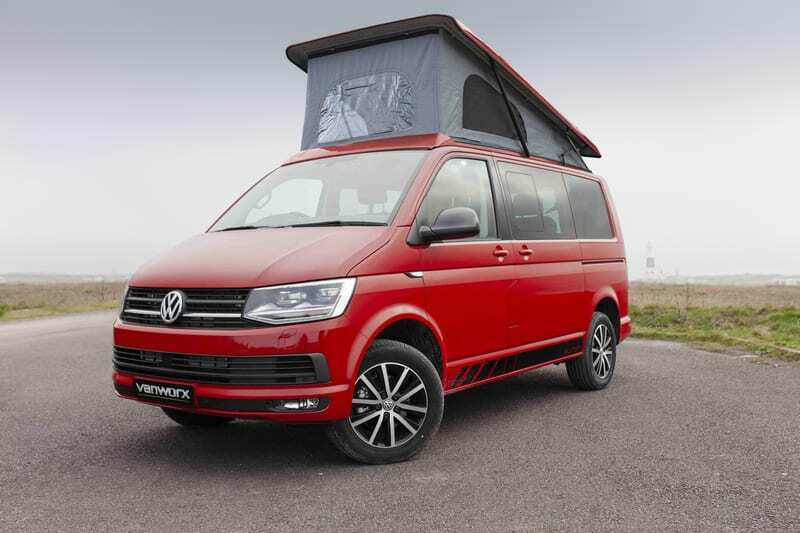 Vanworx, the Volkswagen accredited campervan specialist, is offering a limited run of its most popular ‘Slipper’ model based on the new T6 Transporter Edition with its unique styling and higher standard specification. All Vanworx campers are converted to OEM/factory standards and designed and built to the highest safety standards, including Whole Vehicle Type Approval accreditation (a significantly higher standard than IVA – Individual Vehicle Approval – used by many other converters) and Conformity of Production status from the UK’s Vehicle Type Approval authority, the Vehicle Certification Agency (VCA). In addition, the fixed, two-seater RIB rear seat (with integrated headrests) has been subjected to a full ‘pull’ crash-test with the seat actually fitted in a vehicle, rather than simulated in a laboratory. The seat quickly and easily folds to make a comfortable double bed, with additional storage underneath it. Visually, the Edition model is easily distinguished by exclusive side and rear decals, black styling accents on ‘B’-pillars, matching black (folding) door mirrors and elevating roof, plus LED headlights and daytime running lights, darkened rear light clusters and 17in alloy wheels. The Edition’s specification is also special, with desirable items over and above the Highline model, including: front and rear parking sensors, rear-view camera, a power-latching sliding side door, and the Discover Media Navigation system with App-Connect which mirrors compatible apps from a smartphone using Apple CarPlay™, MirrorLink™ or Android Auto™. There is a long list of other items included in the specification, such as: heated (swivel) front seats, adaptive cruise control, cab carpet and power-latching tailgate. The specification and style can be further customised with other options, such as bike rack, Vanworx leather upholstery and Vanworx Sports Pack including lowered suspension, 18in wheels and tyres, Vanworx angular side bars and sports front spoiler. The attention to detail of the camping conversion is impressive, with a comprehensive choice of equipment carefully selected from highly-trusted suppliers. This includes a RIB ‘rock and roll’ rear seat/bed with Vanworx (pull-tested) fitting frame, Reimo premium elevating roof, roof bed (to make it a four-berth) and awning rail, a Dometic two burner hob and sink unit, a Webasto diesel heater (with seven day timer), a Waeco compressor fridge (with removable freezer compartment) and a premium AGM leisure battery with CTEK charger controller. There is plenty of low energy LED lighting fitted in the kitchen and living area, plus USB and 12v sockets. The furniture for the side kitchen, wardrobe cabinet and rear ceiling pod (with speakers) are made in the UK from lightweight, high-pressure laminate. As always with Vanworx conversions, customers are welcome to choose the internal colours of their conversion from a vast range of colour combinations available. The kitchen has a water pump and internal container, a cutlery drawer, storage cupboard and a rail to support the folding table that’s neatly stored in the sliding side door. On the Edition model, the price includes a granite-style worktop and a Webasto diesel night heater. The limited number of T30 Edition Slipper conversions available all have the 2.0 TDI, 150PS, Euro 6 engine with DSG transmission (six-speed manual also available), with a choice of four colours (Indium Grey, Candy White, Cherry Red, Grape Yellow),from £61,898 (on the road). Vanworx campers are sold direct from its premises in Portland, Dorset. 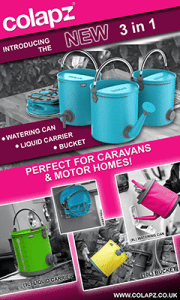 For more information, Vanworx can be contacted on 01305 824428 or info@vanworx.co.uk, or visit www.vanworx.co.uk. Look out for posts of the latest Vanworx conversions on Facebook, Twitter, Instagram and YouTube, or search for the hashtag #NOORDINARYVAN.